Duncan has operated at Board, CEO, Managing Director and Chief Marketing Officer levels within start-up, turnaround and established businesses within the travel and transportation sectors. He has lived and worked in the United Kingdom, Germany, the United States, Spain and the United Arab Emirates. 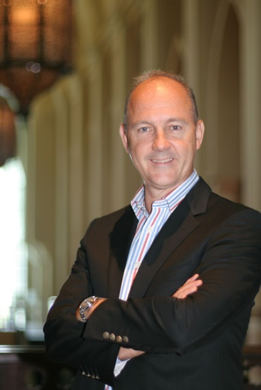 Duncan’s career has predominantly been in the fast changing travel & transportation technology sector having worked in Senior Executive positions at Mercator, The Commercial IT Division of The Emirates Group, Official Airline Guides (OAG), SITA and Travelport. He has also worked as a management consultant with PriceWaterhouseCoopers, Logica and The Travel Marketing Store. As a consultant his clients have included Aer Lingus, Amadeus, Athens Airport, Emirates Holidays, Jumeirah Group, SITA, South African Airways The British Tourist Authority, The Singapore Tourism Authority and other major travel brands and travel technology start-ups. Duncan also served in the British Armed Forces as an Officer in the Royal Engineers. In his various roles Duncan has had to chair numerous steering committees and complex projects taking into account the needs and views of all stakeholders. Duncan has a BA Hons Degree in Geography from King’s College London and holds the Chartered Institute of Marketing’s Diploma. He was recently granted Fellow status with The Chartered Institute of Marketing. Duncan lives in Maidenhead, Berkshire, with his wife Vicki and two sons aged 15 and 13. 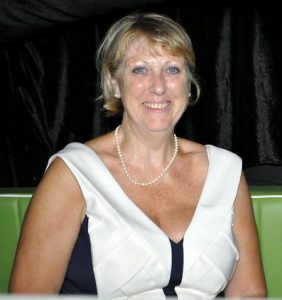 Glynis was born in Newham and lived in North Woolwich until 1973 when she joined her husband Robert (also born in North Woolwich) on his tour of duty with the Armed Forces in Kent, Germany and Surrey. Glynis returned to North Woolwich in 1988 where she joined May Gurney Civil Engineers working on the infrastructure at West Silvertown. She later went on to join Mowlems/May Gurney at Canary Wharf as site secretary. Following on from working at Levertons at Silvertown, Brown and Tawse and Turner and Prendergast she joined the Custom House Surgery 21 year ago as an assistant manager and is currently the Patient Liaison Manager and has a Certificate in Primary Care Management. Glynis joined the Victoria Gardens Tenants Association in North Woolwich in 1989 and became a member of the LCACC in 1990. Throughout the years Glynis has seen many changes in the Royal Docks from ships double birthed and ships sirens at all times of the day and night to call in tugs, to aircraft queuing for take-off and loud noises to frighten off birds from the run way. Both of her sons have worked at City Airport, the oldest Michael is now with London Transport and Philip the younger is currently working at Heathrow. Her daughter-in-law is currently working at City Airport. Glynis is passionate about her roots and is keen to see North Woolwich prosper and become a community centred population.